Join us Saturday, May 4, from 2-6pm for our 2019 Spring Open House! No admission price or cost for any activities or refreshments! Fair Trade Coffee, Drinks, and Plenty of Delicious Samples! Shop all your Koinonia Favorites and see some of our new products! 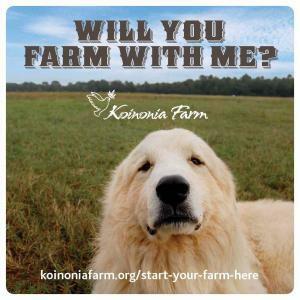 Follow Koinonia Farm on Facebook for More Updates and to Let Us Know You’re Coming! Those of us here have either committed ourselves to a way of life or to coming every day to support those attempting to live this way of life. Those of us who have committed to the communal way of life take vows agreeing that we will be guided by Jesus’ Sermon on the Mount and Sermon the Plain; we have committed ourselves to being family. We have committed ourselves to a particular place. We have committed to go to God together. We devote ourselves to spiritual development and good works. What’s more, these deep and specific commitments are for the long haul. In essence, we promise each other and ourselves that we will not run away—even when it gets rough. And rough it gets. And, oh, yes, we do tasks, chores, and work to support ourselves. Interns, for a period of time, immerse themselves into the communal way of life we follow here. We hope they take what they learn and experience into whatever configuration of community they choose. We try to show them a set of guiding principles that are constructive, healthy, and sensible. A good life, a mature, wholehearted life, takes commitment. 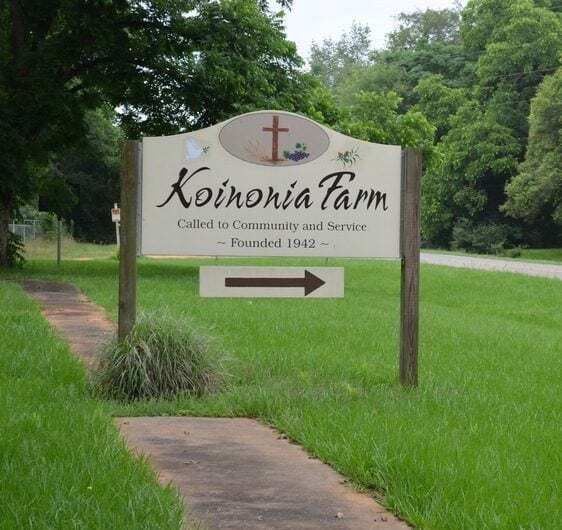 One of the best ways to learn about community and to see the imperfect and beautiful ways it works out is by becoming an intern at Koinonia. We have room for more interns. There are three terms a year — spring, summer and fall. Give it some thought and then apply?